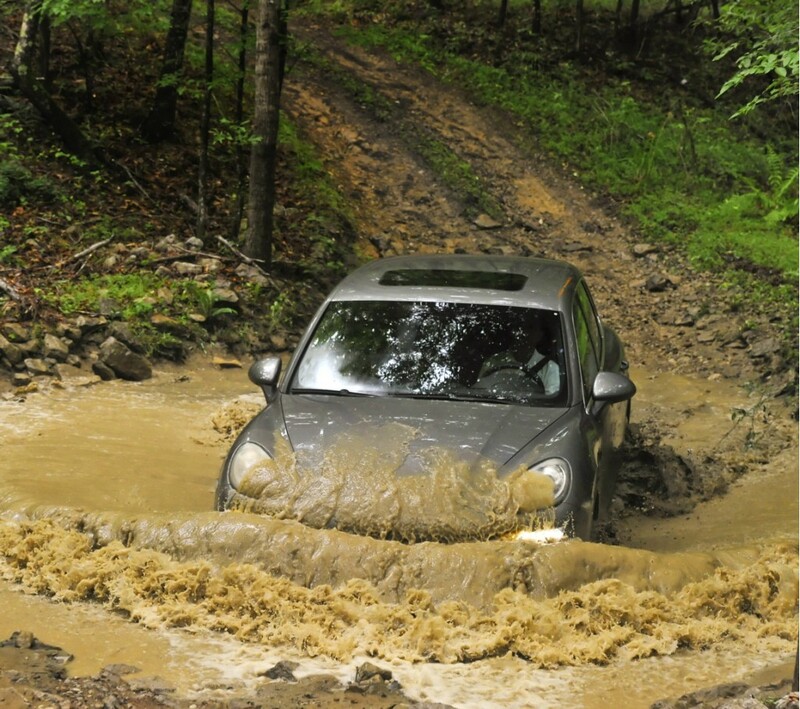 Just because your vehicle has four-wheel drive doesn’t mean that it’s an off-road vehicle. Especially nowadays where there are high-performance luxury suvs like the Lamborghini Urus, Bentley Bentayga, and of course the Porsche Cayenne Turbo. 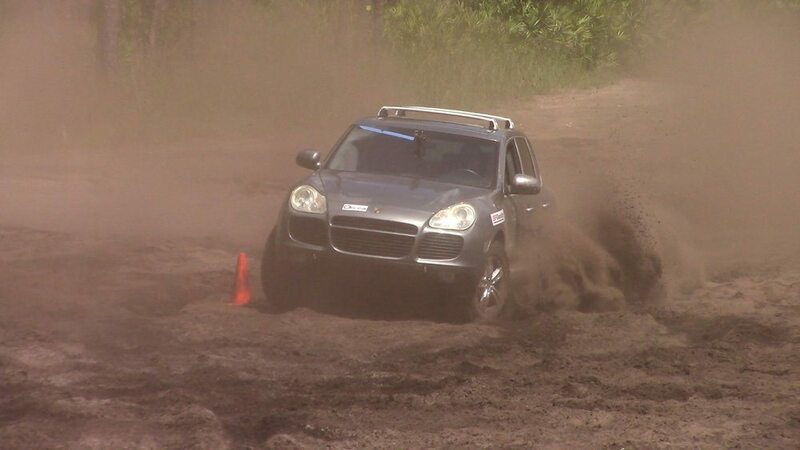 When your paying over $100,000 for an SUV the last thing you want to do is take it up a steep rocky hill or smash through a mud puddle, at least normally. 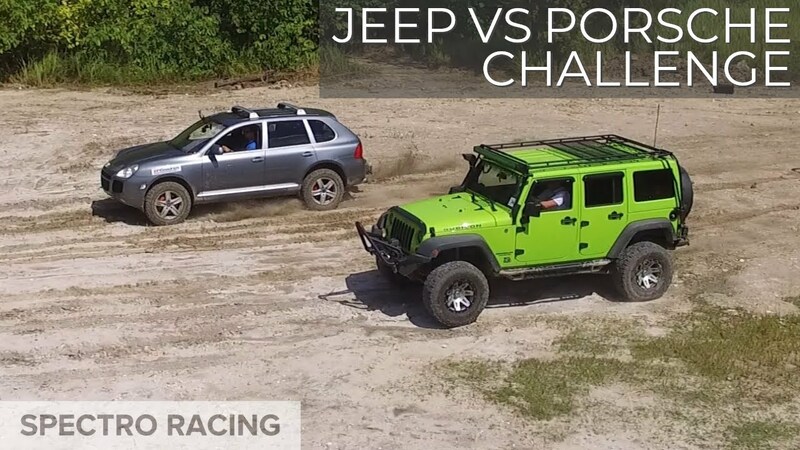 The guys at Spectro Racing had put out a video where they took a Porsche Cayenne Turbo and put some aggressive mud tires on it and set up a Jeep vs Porsche battle, offroad. Now right out of the gate the Porsche is at a major disadvantage when it comes to ground clearance which prevents it from attacking some obstacles. Although it does have a 520hp twin turbo V8 under the hood and that combined with a sophisticated four-wheel drive system makes the Porsche a lot more capable than I personally would have guessed. With exception of a few hills and obstacles where the Porsche got high centered, it managed to claw its way through or to the top of everything that the Jeeps did. So I must say I was thoroughly shocked to see how well this thing did offroad. I still think it’s ridiculous to spend that kind of money on that type of vehicle with intentions of using it in that way. Hell, you could buy a Porsche 911 and still have roughly $50,000 to spend on building a badass offroad rig, like a jeep or something along those lines. Or if you’re determined to spend that kind of money on an offroad vehicle, take that money and buy 6100 series trophy truck. But then again you don’t see many luxury vehicles offroad so you’d at least get a lot of attention.